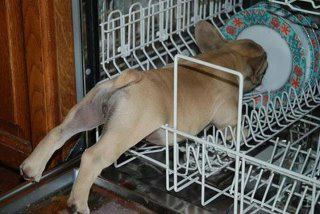 This entry was posted in LOL and tagged Canine dishwasher, funny pictures, Humor, lol. Bookmark the permalink. I once walked into my kitchen to find my dog and my baby both doing this at the same time. YIKES! Well… at least the dishes got clean that day. it’s got to count for something. Cute baby in your avatar!